Psyonix announced that Rocket League is getting its next update on December 3rd and this will be particularly interesting for Xbox One X players. After a rather long wait, the enhancements for Xbox One X hardware will be delivered, enabling native 4K@60 fps gameplay and support for HDR displays. The developers have spoken with the official Xbox Wire blog to share more information on the Xbox One X patch. Mata: 4K will provide unparalleled detail which normally can’t be seen in 1080p, giving us a much more crisp image, while HDR means we’ll be seeing more detail in bright and dark areas of the game, giving a much richer feel to the colors in the world. Overall, the result on Xbox One X is that the game looks much clearer. Couple that with the 60 frames per second Rocket League is known for and this all leads to a much smoother, more immersive, high octane play experience. 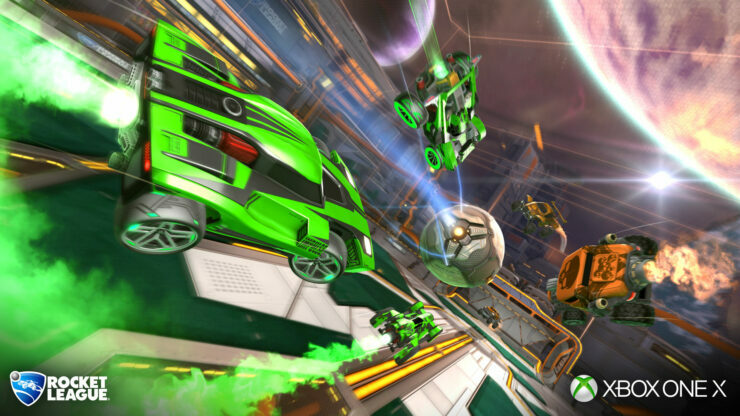 Meanwhile, cross-platform play is still a way off for Rocket League.